It’s no secret that Life Beyond Borders loves the Greek island of Rhodes, especially Rhodes Old Town. Wandering the streets behind those old castle walls in the oldest inhabited Medieval Town in Europe is so enjoyable, sometimes with not a soul around, especially in ‘off season’. 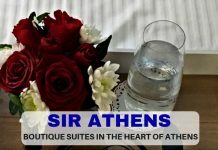 My Rhodes, Greece experience post goes into some depth about what you can see and do in this magical city; here I’d like to share with you some of the luxury in Rhodes Old Town, especially the boutique hotels that are springing up, despite the economic crisis. Check my Greek Island all round packing guide to give you an idea of what to pack when coming to visit Rhodes. And for a free printable version, check here. 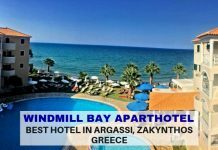 Kokkini Porta Rossa has featured on my site before with my exploration in my Luxury in Rhodes Old Town – Kokkini Porta Rossa article. I first had the pleasurable experience of this quiet boutique hotel back in 2014. As you enter through the Gate of St. John into the Old Town, the first building you come to is an old knight’s residence. History shows that from 1522, when Greece was under Ottoman rule, a residence of Turkish and – later – Greek families lived here until its current ownership and extensive conversion into luxury suites. As you can imagine, the building is seeped in history. Kokkini’s site gives you a much clearer and interesting picture of its history. The delight about Kokkini Porta Rossa – besides the current owner’s attention to detail and unparalleled service offering, what can only be described as a concierge service, tailor making your stay to your desires – is the fact it has only six luxury suites. I was fortunate during my recent visit to experience the newest addition to the family: Michalis Suite. Michalis is the newest addition to Kokkini Porta Rossa, and I have to say, completes your luxury stay in Rhodes Old Town. This part of the building was first constructed in 1350 and was originally a carpenter’s room – Michalis, a young man from Symi Island, and has been lovingly restored to now offer a 37 sq meter interior space with walk in monsoon rain shower in the bathroom (with marble antique sink), a carpenter’s bench and tools encased in glass in the floor and to top it off, your own private 45 sq meter garden with olive tree, plants and herbs, seating area and even warm water soaking tub. Luxury Hotels in Rhodes Old Town, Greece. Michalis Suite private garden at Kokkini Porta Rossa. 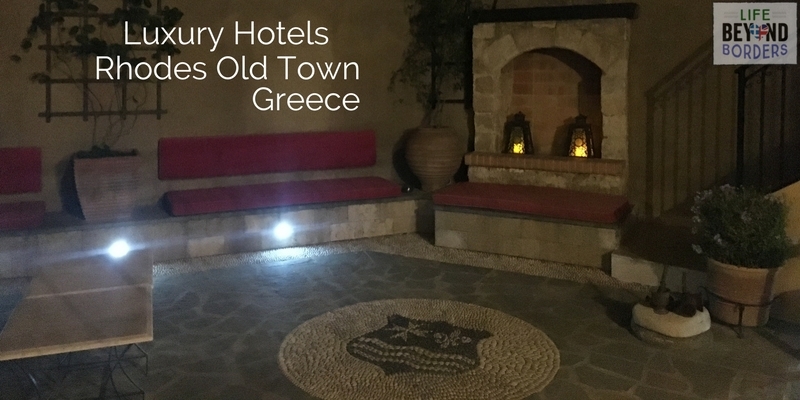 Suffice to say my stay here completed my Kokkini experience, as I coin it – because a stay at Kokkini Porta Rossa is not just a place to stay, it is all part of a luxury in Rhodes Old Town experience…one not to be missed. There are some excellent before and after photos and further description of the history and construction of this suite. Kokkini Porta Rossa is great for couples and especially honeymooners. Or how about book a stay here if you’re planning to propose? Angela and Nikos, the owners are more than happy to arrange surprises for their guests – it’s all part of their quality, personalised service. Aside from bathrobes in the purest cotton, slippers and a pillow menu, expect personalised service that honestly makes you feel like you’ve come to stay with friends. The Kokkini Porta Rossa ‘experience’ will leave you feeling very special. No cars are allowed in Rhodes Old Town – apart from some residents with permits – but as Kokkini Porta is located so near St. John’s Gate, they can arrange for a taxi to meet you outside the hotel if you wish. Check Kokkini Porta Rossa rates. Tucked away down a quiet old cobbled street, behind the castle walls and near the Hamsa Bei Mosque lies a quaint villa style accommodation with lovely bougainvillea clad courtyard to eat breakfast or just sit and relax, soaking up the rays. 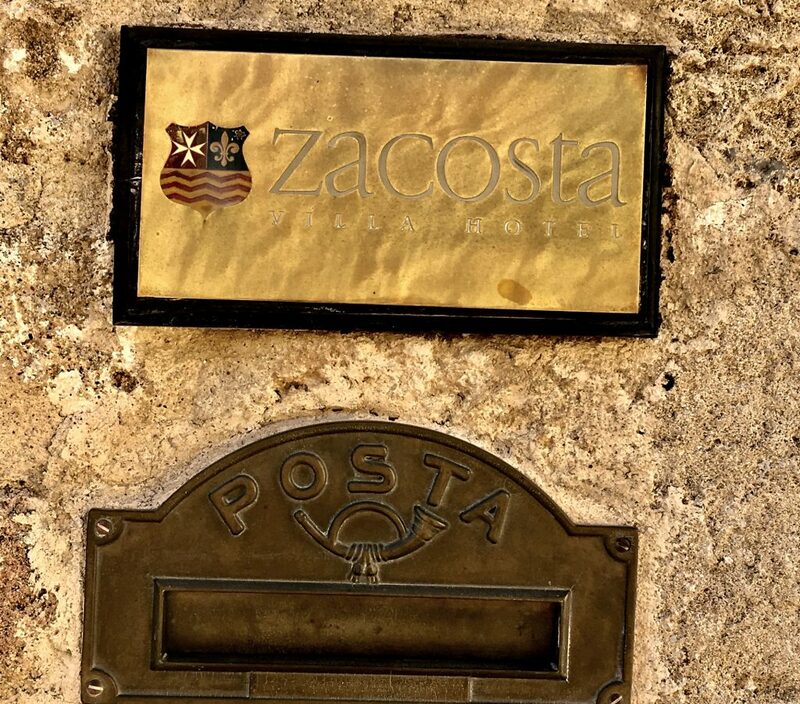 With only five suites, Zacosta is another place that’s more of an experience than merely a place to stay. Zacosta is one of the ‘freshest’ editions of boutique hotels to the Old Town in that this, too, has been renovated and updated. The galleried room I stayed in had literally only been completed in the summer of 2017. Expect attention to detail such as bathrobes, slippers, mattress toppers and Wine Tasting sessions – Box 51 – as the owner has collaborated with wineries around Greece to afford the guest the opportunity to garner a taste of Greek wines, also supporting the Greek community. For me, Zacosta is perfectly placed to explore the main sights of the Old Town; Palace of the Grand Masters of the Knights of Rhodes for example, and as I said, just amble the streets of this perfect place. Zacosta’s owner has a golf buggy and he comes to meet you from your ferry or the entrance of any Gate (no cars are allowed in the Old Town) and whisk you and your luggage back to this little haven. 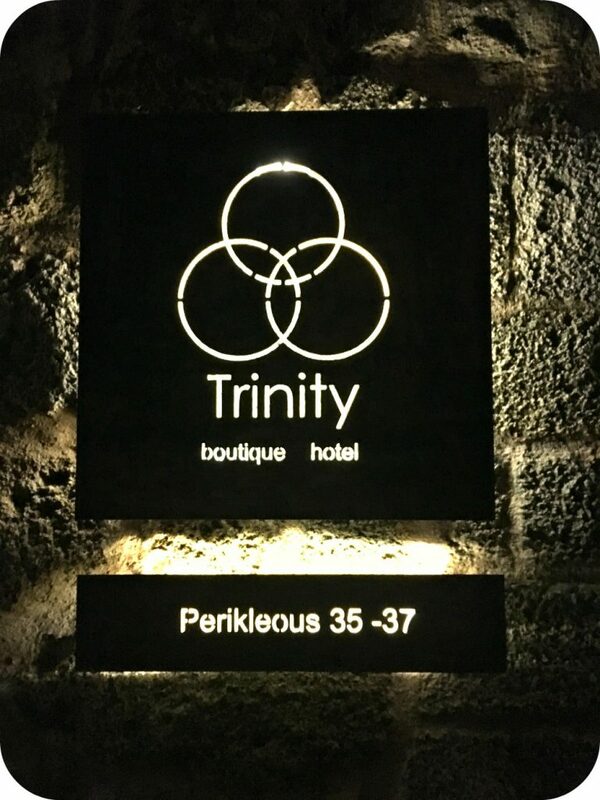 One of the newest editions to the boutique scene here is that of Trinity Boutique Hotel. Opened in the summer of 2017 and tucked away behind iron gates, it’s lovely to wander into the courtyard and wonder what awaits you. Slightly larger with 12 rooms sleeping either two or four people, it is by no less personal and cozy. And talk about traditional! The building has been lovingly restored and it is, literally, like sleeping in a part of a castle – with exposed stone walls, wooden beams and mosaic stone flooring. As with everything, pictures speak 1000 words, so take a look through my Instagram pictures (don’t forget to scroll through), and my little video. All hotels mentioned have free wi-fi and their rates include breakfast. So come to Rhodes Old Town and spend time exploring the unique heritage of the area, treat yourself to some real history by staying in one of these historic places. There are other options too, such as the In Camera Art Boutique Hotel and Spirit of the Knights. And don’t rule out coming to Athens first for a stay, before heading on to Rhodes. 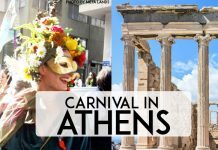 See my Insider’s Guide to Visiting Athens to get some ideas of the hidden spots and tours I’d recommend. Most European airports have direct charters in the summer – or even up to November. 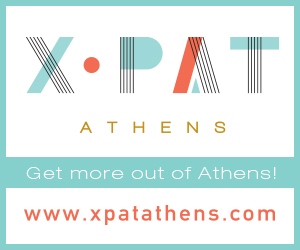 There are flights daily with Ryanair from Athens, making a combined trip even easier. 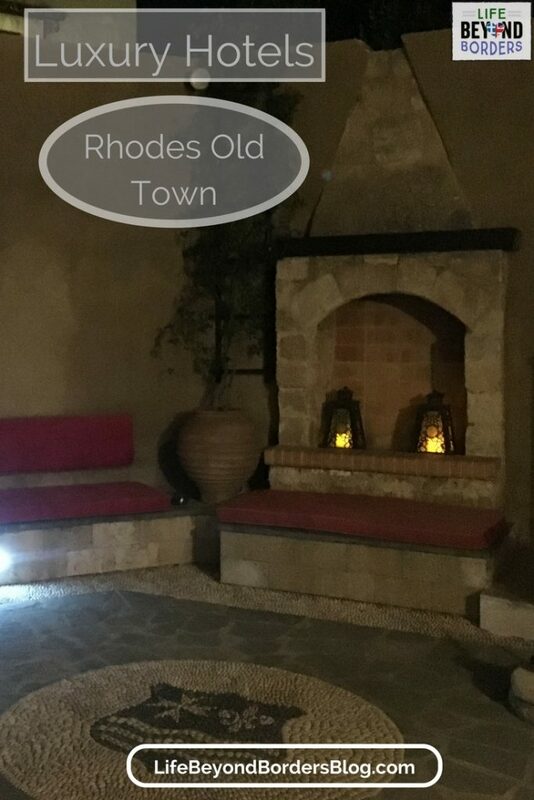 Have you been to Rhodes Old Town? Have I tempted you to step back in time? I hope so.